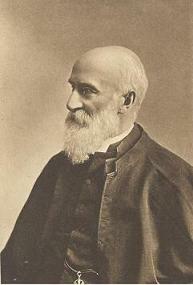 Andrew John Jukes was an English theologian and minister. Having left school, in 1832 Jukes went to Poona, India, with the East India Company. In his letters he reports to have been converted while at the hospital in India, reading Scott’s Bible. In 1837 he returned to England, and entered at Trinity College, Cambridge. He became a curate in the Church of England, but became convinced of Baptist teachings. In 1843 he underwent believers baptism at the George Street Chapel, Hull. After leaving the Church of England, he joined the Plymouth Brethren. He later founded an independent chapel in Hull. Jukes wrote many works on a variety of subjects. In his A Letter to a Friend on Baptism Jukes explained his teachings on baptism. In his classic work The Second Death and the Restitution of All Things from 1867, Jukes explains the meaning of “the second death” mentioned in Revelations, and presents compelling arguments for a biblical universalism. Jukes’ main argument is that we are not so much saved “from” as “through” death.